The new Braun Series 3 ProSkin is a real hero for sensitive skin, and launching just in time for Father’s Day, it’s the perfect gift for sensitive dads. I’ve partnered with Braun to tell you about some of the times when Matt has shown his sensitive side. As the parents of two small children, one with special needs, we have faced some challenges together. We have always faced them as a team and I can honestly say that we are a total partnership. Matt is endlessly patient with the children and sensitive to their needs. He cooks their food, bathes them, dries their eyes, tucks them in – he is every bit as compassionate and caring as I am. 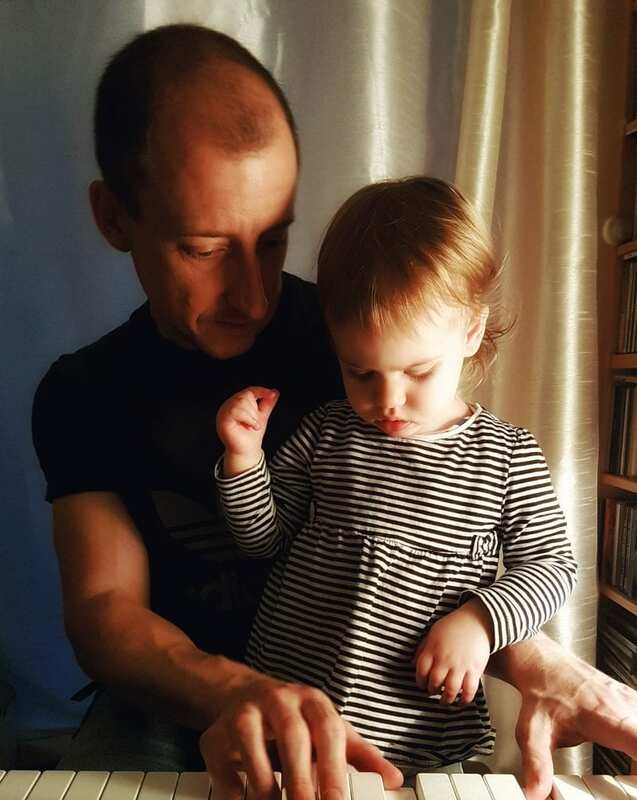 I am sharing just a few examples that show why Matt is one of the #SensitiveDads. Both our children love Disney films, and particularly the songs. Our son takes great comfort from music and wears his headphones to cope during stressful times. Not only does Matt tolerate listening to Now That’s What I Call Disney on permanent repeat during any car journey, he also plays Disney songs for them on the piano. Every Friday night, for the last hour and a half or so before bed, he sits at the piano and belts out a Disney medley, much to the children’s absolute rapture. He sings enthusiastically as if he is Pocahontas and Rapunzel and Belle, without an ounce of self-consciousness. It is one of my favourite parts of the week. I know the children will grow to appreciate and take solace in music, through his example. Our son has autism, and sometimes we have to think very carefully about how to manage some of his reactions. Since Littlest was born, Matt has been entirely responsible for bathing Biggest and getting him to bed. 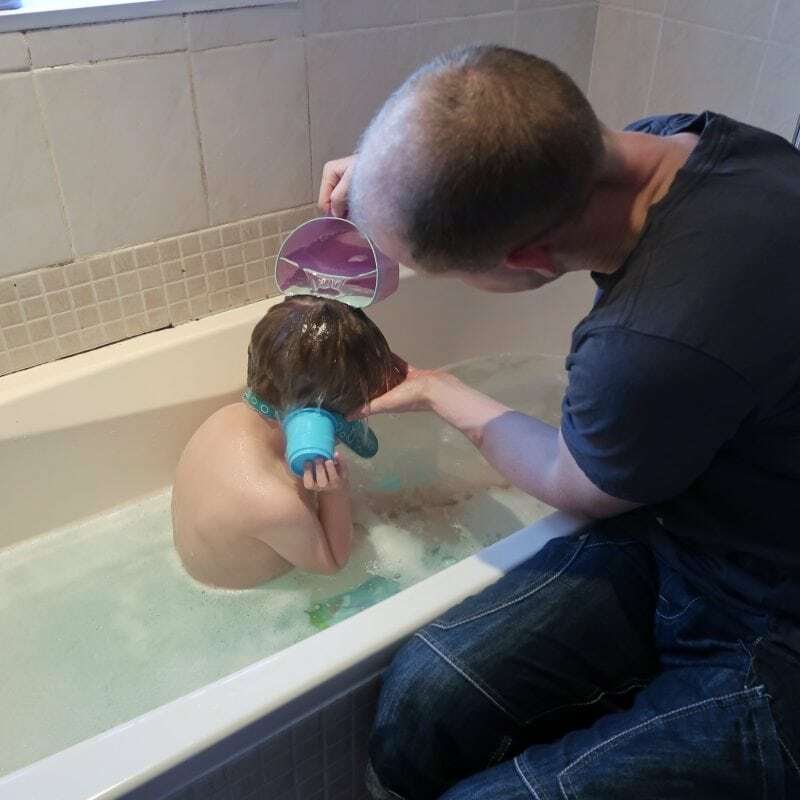 This can be challenging, especially once a week when he washes Biggest’s hair. Many children with autism have sensory issues, and this can make grooming particularly stressful for them. Matt is endlessly patient and kind and, working with Biggest, they have developed a strategy to make washing less upsetting. He needs cups over his ears and a visor, to lessen the sensory overload of the water. He still sometimes gets very distressed. Many people would get frustrated by this, but Matt is so, so careful. He helps him gets the visor in place and then takes his time, patiently pausing if it becomes too much. He gives quiet and calm reassurance, meaning that Biggest gets through the weekly ordeal with minimum fuss. The bedtime routine ends with Matt reading a book of bedtime poems, the same every evening. This sensitivity, reliability and calm reassurance is exactly what Biggest needs. He could not have hoped for a more understanding father. Our examples of our #SensitiveDad show that Fathers can be sensitive too, just like their skin. The new Braun Series 3 ProSkin has advanced MicroComb technology which guides beard hairs into the cutting element of the trimmer. This reduces overall shaving time and thus skin irritation. To offer a comfortable shave, three independently floating cutting elements and two SensoFoils adapts to every facial contour to offer a comfortable shave. As it happens, Matt does also suffer with sensitive skin and shaving has always been a bit of a sore issue. 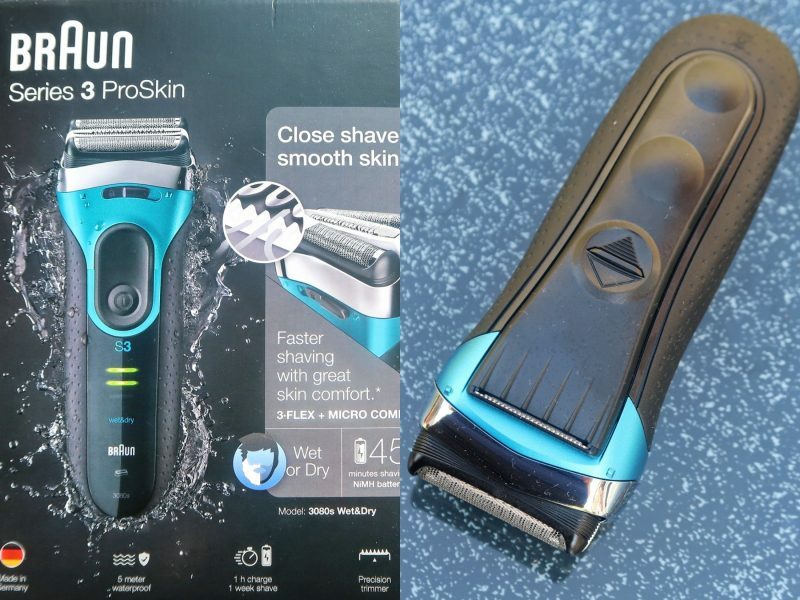 Braun asked us to try out the Braun Series 3 ProSkin in time for Father’s Day. Matt has been really impressed with the results so far. 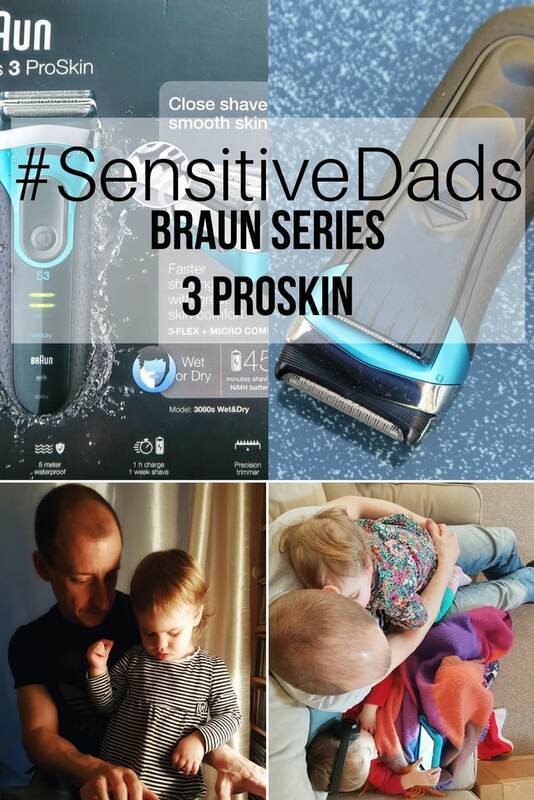 Do you know any sensitive dads who would love a Braun Series 3 ProSkin this Father’s Day? Look out for our Father’s Day gift guide, containing our Braun Series 3 ProSkin review, coming soon. 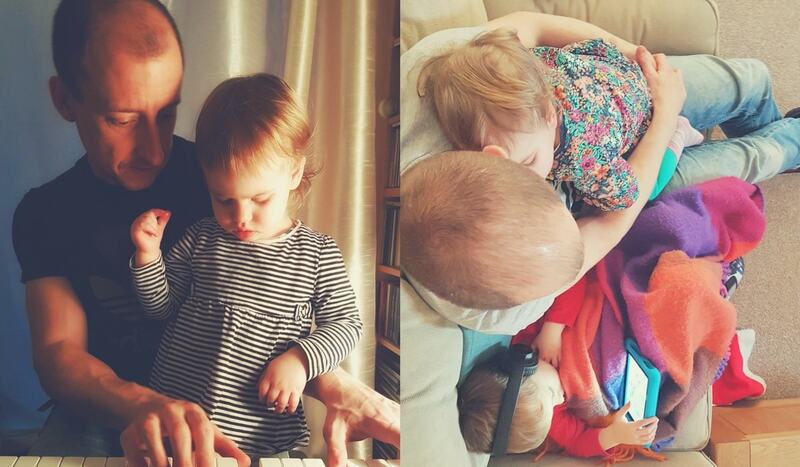 Please note, I’m working in a paid relationship with Braun and BritMums on their #SensitiveDads campaign. Fathers can be sensitive too, just like their skin. The new S3 ProSkin has advanced MicroComb technology which reduces overall shaving time and thus skin irritation. What a lovely post. As part of BritMums, who partnered with the sponsor Braun for this post, I was very interested to see how dads are described as sensitive. Thank you. He is a really talented musician actually and can play pretty much anything that you can name. The children love to dance and sing while he is playing. Thanks so much for stopping by to comment. Sounds like you got one of the good guys! Very touching post. Thanking you for posting on behalf of BritMums. Ahh yes he is definitely a keeper 😉 We are very lucky to have him. He genuinely loves the razor too so lovely to be able to give him something he likes. It was my pleasure. Oh The Disney Songs on the piano would really melt my heart. How talented. I am not sure I could cope with them on repeat in the car!